Why buy All Mountain skis? How much do all mountain skis cost? Length of Your Skis – What Size is Best? So what do they mean, in the real world? So what is the rocker? Aesthetic aspects – What Should Your Skis Look Like? The only thing you’ll need to choose your new skis. Winterbadass.com compiles the opinions of several ski experts to help new and old skiers find their perfect all mountain skis. 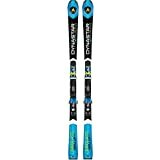 Throughout this article, you will be taken from complete novice to conditioned expert in finding the best all mountain skis. From Great Britain to Ghana, Aspen to the Alps, Chamonix to Coronet Peak and throughout the rest of the world, there is a diverse group of people, with a sole unifying experience. From every race, gender and country; 115 million skiers, do not shy away when snow-storms begin. Unlike the masses, we rush toward the eye of the blizzard, in search of what unites us. Our community, bound by a sheer joy that only lies in the wake of fresh tracks on the majestic untamed piste. A sense of ultimate freedom that is only revealed to be a façade when adrenaline takes hold. The adventure that leads us to cut through clouds, before smashing gates, landing a jump or simply developing butterflies, as you edge your perfect carve. All the while, bettering our health, working our bodies to their limits and finding new ones and, on occasion, heading to the bar to have a quick drink and a warm-up, with new friends that are only a chairlift away. Indeed, skiing is what allows us access to all of this. Alas, of our 115 million cohorts, between 80-90% somewhat limit their experience by neglecting a single issue, equipment. Although the best apparatus won’t transfigure a skiing style from snowplow to Ligety carves, it will maximize your enjoyment and safety. What we, at Winter Badass, are trying to do, is match you to your the best all mountain pair of skis. We all feel a duty to share our expert’s knowledge, in order to better your personal skiing experience. We have collated the knowledge of our best and brightest, from those with more than two decades on snow, to elite-level athletes who once skied under their nation’s flag. We are here to help you fall in love with skiing; this is our ultimate buyer’s guide to best all mountain skis. Investing in a pair of skis is one of the best decisions that you will ever make. By buying your own skis you are buying freedom, the freedom to ski whenever you wish. This liberty is not universal. Throughout the world’s thousands of ski resorts, many lack ski rental services. 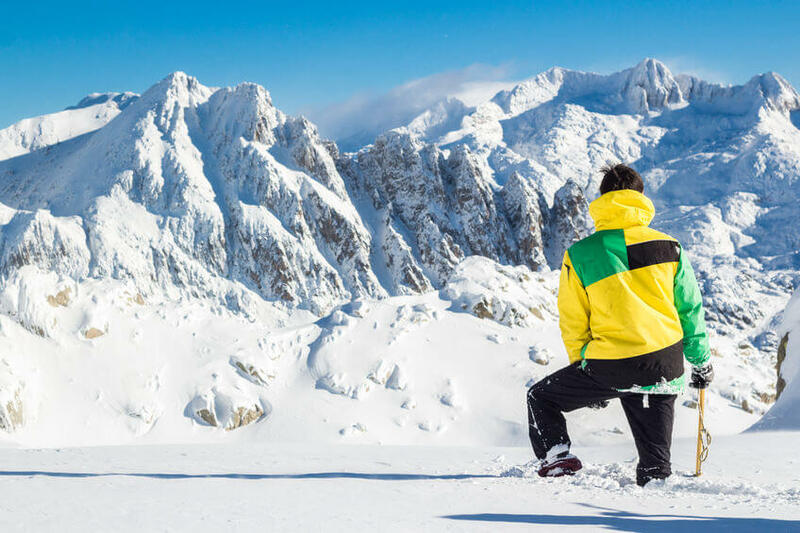 By relying on ski hire companies, you are risking a chance to behold mountain-tops that few have laid eyes upon before, miles of empty pistes and memories with friends and family. Are you willing to risk priceless experiences? Not only could you neglect yourself and your family of those experiences, additionally, owning your own skis is, by-far, safer than renting. 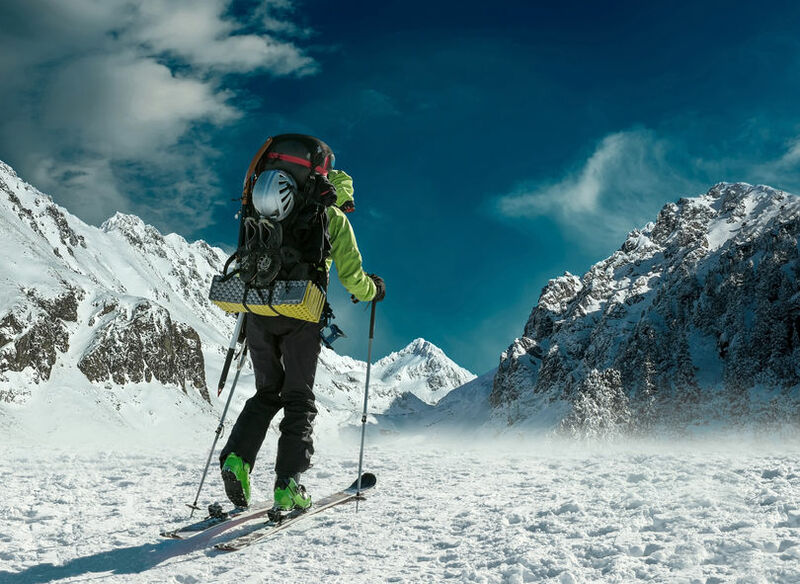 As time passes and a skier clocks more hours on a particular model, naturally predicting how that ski will react to situations and conditions become easier. For example, one writer told of how Dynastar Omerglass WCs may be great fun to power-up in a slalom course but will sink like a rock in powder. The only way to truly understand a ski is by clocking miles, and lots of them! If you know how to control your ski, accidents will be negated and your skiing ability and skill-level will incline at an accelerated pace. The alternative to ski-ownership is hiring. The skis offered to customers in these establishments are well-used, to say it politely. It doesn’t take a ski-genius to figure out that they can be dangerous due to over-use. 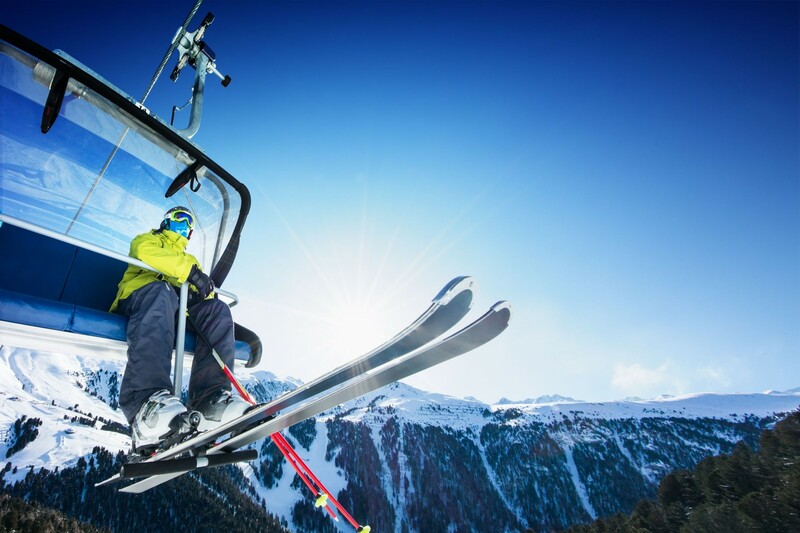 In particular, over-use of the bindings, which may be liable to pop you or your loved ones out halfway down a run or on a chairlift, causing injury and expense. By buying skis, you are protecting yourself and loved ones. Skis that are hired will also, come with damaged bases, normally. Which means that the ski will not perform as well as intended – making them feel sluggish. Finally, although the immediate cost of buying your own skis can be considerable, so too is rental. Despite the egalitarian approach we, as a society, take towards gender. In skiing, biology cannot be denied. Ski companies increasingly design models that are specifically targeted to one gender. The justification behind this division is, the sexes physiologically differ. Generally, the male body will be stronger and heavier, thus requiring a sturdier ski to withstand the weight and power. This is not always the case, there are many female skiers who could compete in male events – and win. Skiers such as Linsey Vonn and Dara Howell, as well as others, can outperform the gents in their respective events. However, we aren’t all Olympic gold medallists and this is why ski companies have branched into female-specific skis. There are some fundamental differences between the skis that are designed specifically for a gender. As examples, we will use two of Winter Badass’ favorites, Rossignol’s Soul 7 and Nordica’s Santa Ana, to illustrate the differences. The first and most blatant disparity is the length of the skis. Whereas the men’s Rossignol Soul 7 can be bought in sizes up to 188cm, the Santa Ana have only been made available up to 178cm. Why are female skis generally shorter? Do you want to read full Nordica Hell’s Belles review? Ski manufacturers believe that females will be lighter and smaller in stature. As we will go on to discuss in the ski length section, the height and weight of a skier are paramount in deciding the correct length of new skis. Furthermore, female-specific skis are constructed for skiers who require less strength in a ski, the stiffness (the physical force required to turn a ski), also differs. Using our two previous examples, the Hell’s Belles require considerably less physical effort to turn than the Soul 7s. By doing this, those who require a ski that is less physically demanding, are able to ride around the mountain fatiguing later than would otherwise have been the case. If one were to ignore the stiffness (flex) and length of a ski. Gender-specific models are fairly similar in all other aspects, excepting aesthetics. 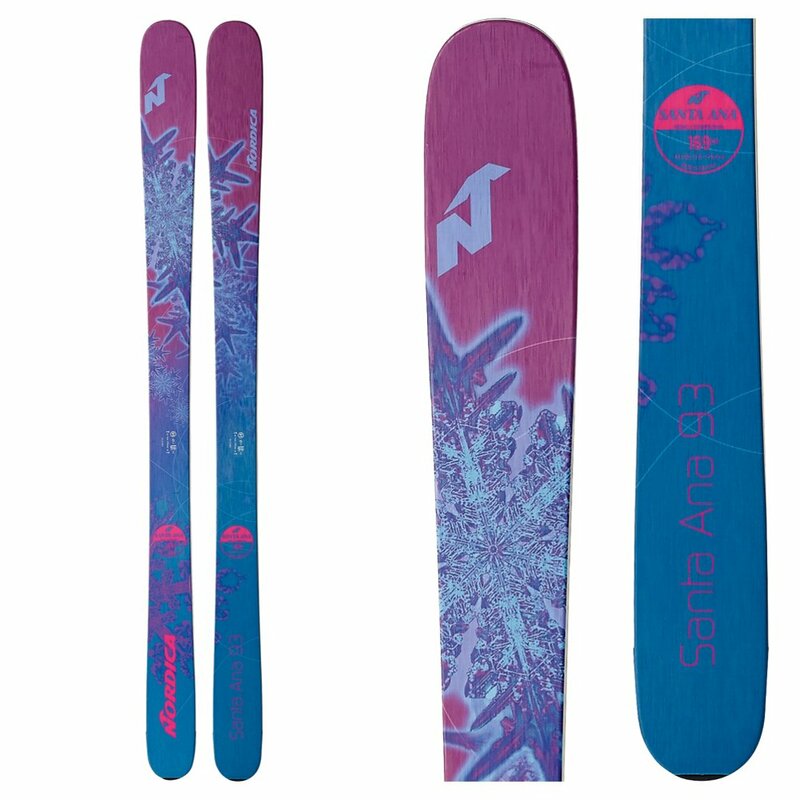 Female-specific skis are orthodoxly colored with light colors, such as pink or baby blue. Whereas male skis are darker and usually striking in their aesthetic design, as shown by our examples. Do you want to read full Rossignol Soul 7s review? Alas, there is no formal restrictions. Male ski testers at winterbadass.com will ski on skis that have been designed for the female market. Granted, male skiers on female specific models are less common than girls on guy’s boards. However, if a buyer only examines the gender-specific models specified to their gender, they are closing-out hundreds of alternative models from their deliberations, among which, could be their perfect ski. After all, humanity is still intellectually struggling to define gender, with many suggesting that the male/female model is unworkable. To put it as plainly as possible, if the world’s scientific community can’t figure out the gender, what chance have Rossignol got? Saying that it is still important to keep gender-specific rules in mind when searching for your new skis, as they will hint at the power required to ski the selected model, however, please do not take this measure to be absolute. Whether you’re still toughing it out on the learners-slope or are an international athlete, we have your perfect ski. The importance of a skier’s ability, in respect to choosing the correct ski, cannot be understated. As progression on the slopes leads to vastly different requirements. For example, if Marcel Hircher, World champion, were to swap his unique race skis for a pair suited to a beginner – unless he were to drastically adapt his skiing style – would end up eating snow (falling catastrophically) on his first turn. This is because as a skier progresses, their ability to bend a ski when turning, in order to achieve stability, speed and a multitude of other skiing targets, is increased. This is why the skis of a World Cup racer is far harder to turn, or stiffer, than that of a beginner. For beginners and those who cannot safely negotiate their way down a red-graded (black diamond) run, there is only one type of ski that will be suited to their skiing style. A very light and easy to turn ski that is durable, cheap and will allow advancement to the next level of expertise. As a skier’s skill-set increases, so does their choice of skis. 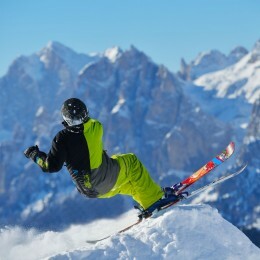 To use another real-life example, an intermediate skier may like skiing on groomed pistes, but rather enjoys playing off-trail every now and then. The ski that our expert team would recommend for this person would have to be an all mountain ski, with a rocker profile (which we will find out about later) with a wide sidecut (the width of a ski) underfoot. Therefore, the ski that would be best is the K2 Annex 98. However, due to the width (sidecut) and stiffness (how hard the ski is to turn) of the K2s, if a beginner were to ski them, there could be some serious injuries. This is why it is crucial that you ensure that the ski you are buying is suitable for your range of skills. The answer is simple. Skis that are designed for advanced skiers are built to be worked. If a beginner were to try and turn a pair of Fischer RC4s, well, all that is to be said is:hope you don’t meet them on the hill or you may lose a leg! 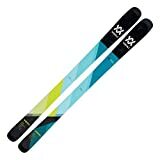 This is not the fault of the ski, in actuality, Fischer RC4s are some of the best skis on the market, but a beginner would be better suited to something like K2 Strikes (link to Amazon.com), as they are flexible, light and will be easy to ski on groomers. The perfect skis are out there, you just need to ensure that you take ability into account. We aren’t all millionaires and skiing isn’t exactly the cheapest sport out there, however. there is a vast range of products offered in the ski-world. The price-tag of some will greatly exceed $1,000, while others won’t even break the $250-mark. However, it would be negligent not to mention an old rule in skiing; you get what you pay for – the more money spent, the better the skis received. Although there are some ski models that are overpriced, Winter Badass takes the matter of helping our readers achieve the ultimate value for money, extremely seriously. We only present our readers with products that we believe to be some of the best in their class, inclusive of price. The harsh reality is the more you spend, the better your skis will perform and the longer they will last. In the long-term, it is monetarily advantageous to spend a little more when buying skis, as this will not only ensure that the skis bought are of the best quality possible, but furthermore, will not need to be replaced in the near future. A good starting budget would be between $600 and $900 for adults, $200 to $300 for children aged up to 10 years old and $500 to $600 for teenagers, however, this can be much lower or higher depending on your circumstance – and remember, your best all mountain ski, may not be the most expensive model. Firstly, let’s dispel the oldest myth of all, ‘I’m too old to buy skis and do something new’. Skiing is a great physical activity that will be mutually beneficial in a psychological and physiological regard, it’s a mystery why more elderly people aren’t taking to the slopes. After all, in the home of skiing, Austria, the mountains are adorned with the young and old in relatively equal numbers. By buying your own pair of skis, you will minimize the stress of the whole experience, as everything needed for a day on snow is waiting in the garage! The same is true for children. Although it is wise to be cautious when buying children skis, as they will outgrow them in time. A pair of skis will ease the stress on mum and dad who would otherwise have to organize ski hire, in addition to accommodation, transport, tuition and everything else. Skis will give a child a sense of responsibility, as well as giving parents some well-earned relief. So besides from having an inordinate amount of great fun on their skis, children are able to learn things that they can take throughout the rest of their lives. Manufacturers have realized the potential of this market and, as such, produce skis that are designed with children in mind. Every major manufacturer produces these kinds of products. 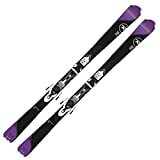 The ideal pair of skis for a child who is about to take their first escapade on snow would look like the Rossignol Scimitars for kids (link to Amazon.com). 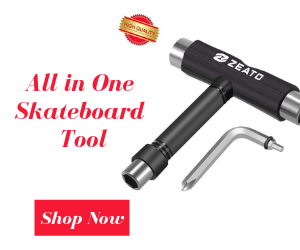 They have the perfect combination of easy skiing features, durability and cost effectiveness that will fulfill the needs of any kid-skier and their parent/guardian’s wallet. However, ski companies don’t stop there. Around the world, there are many young skiers who quickly develop and branch into particular disciplines of the sport. One of the most popular disciplines is alpine racing. The young racer would never be able to handle an adult race ski, they do not have the physical strength. This is why companies like Dynastar produce junior models based on their adult range – such as their Dynastar Team Omerglass Juniors (link to Amazon.com). They are specifically designed for children who are a little older, however, are still not ready to race adult-orientated models. Junior skis are made to require less physical effort on the piste, allowing young racers to work their skis to the best of their ability, without feeling overwhelmed. Another popular discipline is Freestyle skiing. You guessed it, the same principle applies here. 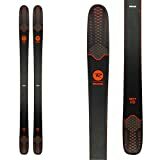 The companies just make their existing adult skis, slightly more child-friendly – such is the case with the Volkl Gotama Jrs (link to Amazon.com). The skis on the market can fulfill the needs of every young talented skier and we will help wherever possible. It is never too early to buy your child their very own set of skis. As a birthday, Christmas or one-off gift. Not only are you giving them a present that will entertain for years to come, but is providing them with life-lessons that they will need for years, long after they have outgrown their skis. So why wait? After all, you never know where the next Bode Miller will come from, will it be your child? We hope you will give them the chance! It’s of the utmost profundity to realize that these boundaries are tactile. For example, many all mountain skis would be perfectly suited to powder snow conditions, skis such as the Rossignol Soul 7s are prime examples of this. That’s not to say that there aren’t a few defining features behind each of the broad ski types. All mountain skis are becoming the most widely seen on the mountain and are by far the most diverse sub-category. This is because an all-mountain ski can be race, piste or powder orientated, while still performing great in all other areas. However, there are a few traits that the vast majority of skis in this category share. Primarily, they will generally, not be as stiff (hard to turn) as skis that are designed for the racing discipline. Additionally, all mountain skis are generally of a medium width, perhaps between 90-100mm underfoot. 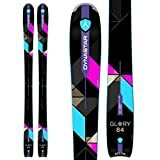 This is to ensure that it can complete its designated task because ultimately an all mountain ski must be able to carve on the groomers, the basis of this ski type, as well as any other specialties. Some of the market leaders in the category are Atomic Alibis, K2 Annex 98s and finally, as previously mentioned, Rossignol’s Soul 7 for the gents. While for female skiers Salomon Lumens and Atomic Elysians are generally considered to be of extraordinary quality. Freestyle skis are the fastest growing section of the ski market in the US and UK. They are designed with one thing in mind; the park. These skis live for rails and rollers. They will almost always be twin-tipped. Simply, this is when the tail (the back of a ski) is raised in a similar manor as the tips (front of a ski) are traditionally raised. This will maximize a ski’s performance when skiing backward, which is referred to as skiing switch. Freestyle, or park, skis vary from stiff to soft and truly depend on the needs of the skier. Some of the best in this category include Salomon QSTs, Atomic Vantage and Rossignol Scratch Pros. The differences between park and powder skis are marginal. Powder skis are usually solely substantially wider, to allow the skis to float better over newly fallen soft snow, called powder. In every other respect, powder skis are often identical to their park counterparts. A few of Winter Badass’ favorite skis to play in powder are Elan Explore, Volkl’s One and Rossignol Soul 7s. Finally, the dying, but elite, category of skis; race skis. These are thin, stiff and fast if you can work them right. However, be warned, they are notoriously hard work. Racing skis are only ever recommended for those who are in race training or skiers whom have expert control on the slopes. They are designed for speed, to achieve this speed the skier on-board needs power. A lot of it! For the right skier, race skis will totally transform the way they ski, but buyers should proceed with caution. The market leaders in the world of racing are Fischer Hybrid, Dynastar Omeglass WCs and Head WC Rebels. Even armed with the aforementioned basics, there is still the matter of selecting a ski with the correct dimensions for your body. Length is a simple and somewhat overlooked factor but will give us a strong base on which we will build upon. In the skiing world, there is a rule of thumb when selecting a ski length. It suggests that the tip of a ski when stood vertically, should touch the tip of the skier’s nose – or at least be within 5cm (around 2 inches) of it. This rule will be satisfactory for the vast majority of buyers, however, things aren’t always that simple. Humans come in infinite shapes and sizes, thus one rule cannot possibly satisfy everyone. There are a few tips for us who are considered to be out-with the physical average. Weight is a crucial factor in determining ski length. If ignored, the weight of a skier can put them and their equipment at risk. If one is considered to be overweight, more weight and pressure will be going through the skis – don’t worry, they won’t snap or fall to bits under your feet. However, we are searching for your perfect ski, not just an adequate pair. When you buy a pair for a skier that is heavier than average, the model purchased should be a little longer. This will better distribute their weight, meaning the skis ability to deal with such stresses, while maintaining optimal performance, is increased significantly. Not only will this negate the risk of jeopardizing the structural integrity of a ski, but could add to the ski’s longevity. The same rule applies but in reverse. The lighter someone is, the shorter the ski required. Skiing style also affects the ideal length of your skis. 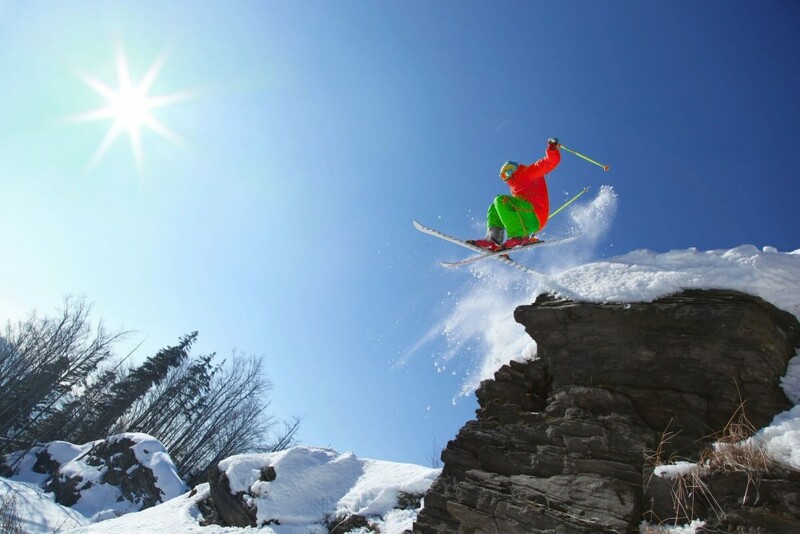 This is because differing skiing styles place a range of demands on your equipment. For example, if you live for the groomers, carving and abhor skiing off-trail, a shorter ski will maximize the experience. This is because the weight on the skis is more concentrated and thus the skier’s ability to bend the ski, in order to carve, is increased. However, if one dreams of off-piste powder and plans to spend over half of their snow-time on the wrong side of the piste-markers, then a longer ski will maximize flotation over softer snow – that is more common when skiing off-trail. By giving the weight placed on the skis a larger surface area on which to distribute the opportunity for the ski to sink or get caught in the soft-stuff is severely reduced. Meaning you can ski fast while being safe. Another aspect to keep in mind is ability. Some beginners find learning on slightly shorter skis easier to master. This rule, as with all of our other rules, works in both directions. Meaning, the expert skier may prefer a slightly longer ski. This doesn’t mean that we are going to return to the days of slalom skis that tower 50cm above the skier’s head. Although a subtle 5-10cms above the average can make a substantial difference, this is usually irrelevant to the ordinary skier, however. The importance of selecting the correct length is imperative when buying your perfect all mountain ski. If they are too short, it will result in instability, a lack of control, progression and safety. The same is true in reverse. If a ski is too long it can lead to problems turning, which is dangerous for obvious reasons. These mistakes are rare and by reading this article, you have avoided a potential near accident. The turning radius of a ski is an ideal method to identify what style of skiing a model is best suited. The turning radius is determined by the width of the waist, tail, and tip, to arise at a measure of the skis ideal turning circle. Although skis vary, the majority have a turning radius between 12 and 22 meters. Varieties that have a shorter radii are best suited to quick, small and tight turns. Whereas those that have, what is considered to be, a large turning radius will be best for sweeping carves. The radius of ski is printed on the ski’s tail and will usually read something like ‘R=14m’. However, without perspective these numbers are meaningless. Applying the same guidelines listed above, Winter Badass has compiled some more specific guidance. If as ski’s sidecut is between 11m and 16m, it will be best suited to short carves and slalom turns. Whereas a model with a radius between 16m and 22m is generally best for all mountain performance, whereas everything above this level (22m+) would only be orthodoxly found on skis that are solely orientated for powder skiing. An ideal radius for the best all mountain ski can vary between 11m and 18m, the radius may be even larger on some models. If you want to find your perfect pair of skis, understanding how turning radius effects performance will ensure that the ski you buy, is the ski you want for your skiing style and terrain preference. By interpreting turning radii correctly, it ensures that you will be better able to determine whether a ski’s design will meet your expectations. So why not jump in and buy a pair? Let others know about your experience. You write for us – we pay you. The sidecut of a ski, in laymen’s terms, is the width of the board. This statistic is usually displayed on the tails of the ski and will be formatted, on most models as ‘NUMBER/NUMBER/NUMBER’, for example, ‘110/90/100’. This refers to the width of the ski at the tip, mid-point (waist) and tail, in the respective order in millimeters. Although this seems as though it would have a marginal impact on a ski’s purpose, it should not be ignored. The sidecut will tell you how well the ski will perform in varying snow conditions – this is not the only factor, but the most profound in regard to the majority of models. If a ski is wide, it will mean that there is better weight distribution. Therefore, the weight of a skier is more thinly spread due to the larger dimensional surface area of the bases. Thus, skis that have a larger sidecut perform particularly well in soft snow and powder. Thinner skis, with a lesser sidecut, have less surface area to distribute the skier’s weight and therefore are more liable to sink when in softer snow conditions. However, thinner skis do have their perks. Almost all of the world’s skis that are designed for speed are orientated around this thin design. As there is less ski, it can be worked more effectively than a model with a greater sidecut. So, if your perfect pair has to be speed-demons that live for bullet-proof ice, the only options are skis with a lesser sidecut. The three pieces of information that ski companies give the consumer regarding their ski’s sidecut – the three numbers on the tail – are not always useful. Actually, there is only one figure that is universally profound. The sidecut under-foot, or at the waist, is the best method to judge a ski’s habitual conditional preferences. This will always be the figure that is in the middle of the listings. Sidecut drastically alters a ski’s performance and it is crucial that all buyers searching for their perfect skis are aware of its influence on a model’s performance. Sidecut is what makes skis like Fischer RC4s and Rossignol Soul 7s so drastically different. If the ski widths were to be swapped, perhaps the top powder ski would be the Fischer RC4, however, in the present, they remain lovers of boiler-plate ice, and that’s not set to change anytime soon. Throughout this piece, the term ‘stiffness’ or flex of a ski, has been omnipresent. This is because our experts believe that this is where the vast majority of buyers make mistakes. To recap, the flex impacts on how much physical effort is required to make a ski turn. On the hill, this equates to a stiffer ski being far harder to turn than models with lower flexes. There are two types of flex, torsional and longitudinal. The most profound is the longitudinal flex. This is flex between the tip and tail, essentially what drives the ski to need substantial or marginal effort to turn. Torsional stiffness is measured at the tip and will halt the ski twisting from this area, however, is largely unimportant to 99% of skiers. Your perfect ski will seldom be a model that will be in the upper quartile in regard to ski stiffness. However, despite being the worst enemy for beginners, a stiff ski actually enhances performance for advanced skiers. This is because as the skis require more physical effort to turn, there is more power being put into the turn, therefore the skier travels faster. At an elite-level of the sport, athletes actually accelerate through turns by bending the ski. The likes of which would be impossible on skis without such stiffness. There is only one subjective and rather primitive method to measure longitudinal flex. To measure, stand a ski upright, place a hand or knee in the middle of the binding. Take a hand and pull the tip towards your chest. The greater the resistance, the stiffer the ski and harder it will be to turn. For those who are just beginning in the ski world or are less than experts, you will lack the deep experience required to compare different models. Do not despair though, this is why organizations, like our own, exist. We have the knowledge and expertise available, right here, for free! So if you are unsure about the model you are buying, we can help. Buying a model with the correct flex is influenced by two things; weight and ability. It all boils down to how much weight you are going to be running through your skis. The heavier a skier, the stiffer the ski required. The same is true for the ability. As one’s ski skill-set becomes greater, the ski required to maintain the progression of skills, enjoyment, and stability, will be stiffer. Get it wrong, you risk your safety, enjoyment, and money. However, with our help through our comprehensive reviews, your the best all mountain skis are just around the corner! Fifteen to twenty years ago this section would have no relevance for buyers, but we live in a brave new world where the profile of skis varies vastly. But what is a ski’s profile? A ski’s profile, when jargon is removed, is simply the shape of the ski when it is laid, base-down, on a surface – it’s the shape of the wood that the ski is constructed in. There are two terms that will be thrown at buyers, rocker, and camber. A cambered ski is one of familiarity for all of us skiers who were involved before 2007. Its design is widely considered to be the traditional ski profile. The way to tell if a ski is camber, is if both the tip and tail are lower than the waist of the ski. 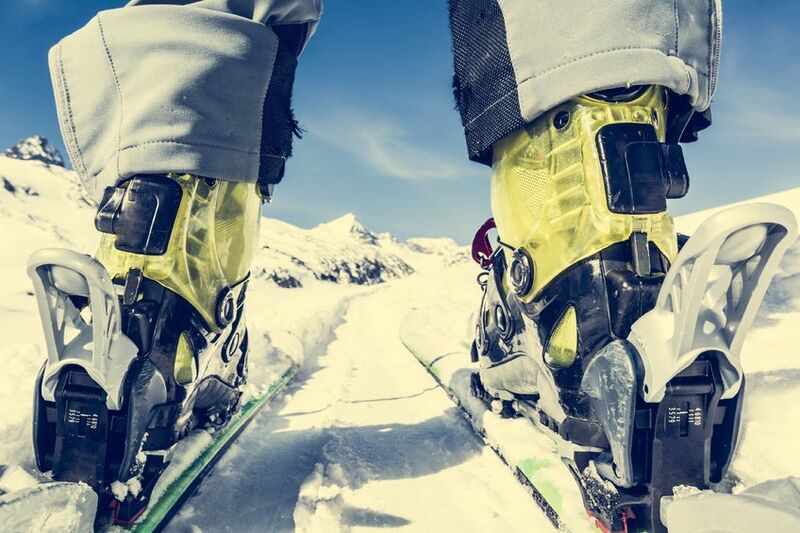 A cambered ski will make contact with the snow at all points throughout a turn and will ensure that there is equal pressure on all parts of the ski. Fully-cambered skis are most commonly race or piste skis, as the equal weight distribution means that in soft snow conditions, cambered skis tend to sink. However, don’t think that is the end of the story. Cambered skis are ideal for those who live to carve on groomers and ski fast. They are better able to handle powerful and strong skiers than the alternative designs. Cambered skis are ideal for beginners and advanced skiers. They facilitate the learning process and beginners will rarely be taught off-trail, for advanced skiers, they allow aggressive carving in order to obtain acceleration through the turn. 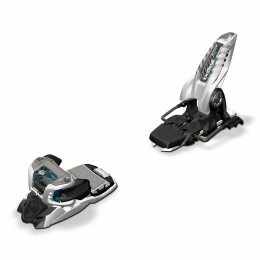 Over 90% of ski models that are designated for the alpine racing market are fully cambered, such as all of our previously mentioned racing examples like Dynastar Omerglass, Fischer RC4s and Atomic Redsters (link to Amazon.com) which simply could not fulfil their intended purpose if they were designed with rocker. If you’ve been on a slope in the last 10 years it is almost guaranteed that, at least, one ski with some form of rocker was skiing alongside you. Rocker skis can be differentiated from cambers by their U-like shape. The entire ski, when placed, based-down on a surface will bend upwards in the shape of a ‘U’ with the tip and/or tail being the section of the ski furthest from the ground. However, with the exception of some powder skis, a pure rocker profile is rare. This is due to the difficulty in carving with these models. As the section of a ski that is in contact with the snow during a turn is decreased, the stability of a model, while on edge, is severely jeopardized. This is why the ski industry produces skis that are composites of the two profiles. 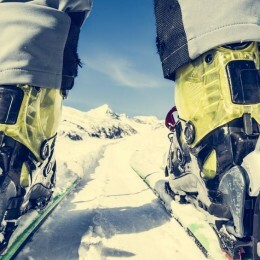 Most skis on the market, including powder skis, are constructed underfoot, in the middle of the ski, with a camber profile. This is to allow for better carving and stability when turning. The rocker in ski models varies, but will either be tip and/or tail rocker. Here the companies are telling the buyer where the ski is constructed with a rocker profile. By manufacturing skis with a rocker profile, it better distributes weight, especially tip-rocker, for softer snow conditions. By raising the tip, it means that there will be a more gradual progression of weight throughout the ski when turning. Due to this, rocker aids flotation and substantially reduces the chance of the tip becoming bogged down in powder or soft snow. Furthermore, due to the progressive nature of power distribution, turn-initiation is made easier and smoother on rocker skis. Rocker aids the flotation, turn-initiation and overall ability to play on a model. This is why models such as the Rossignol Soul 7 are what we consider to be the perfect profile. With a 50/50 camber/rocker split – meaning the ski is constructed in equal parts, camber, and rocker. With a tip rocker that is, ever so slightly, more pronounced than the tail rocker. This means that these skis will float over powder, but carve well on groomers. The profile of a ski can drastically alter its entire purpose. This is why it is crucial that you isolate what you want from a ski and then, make the decision regarding which model is your dream ski, but please take profile into account. The ultimate skiing mistake is to buy a pair of skis based purely on the fact that they look pretty. Please, PLEASE (yes we are begging!) do not purchase a pair of best all mountain skis because they just looked ‘cool’ or ‘awesome’. If you have decided which model you want to buy, based on the aforementioned advice and it just so happens that those skis are to your taste; fantastic! However, neglecting technical aspects leads to making the wrong purchase and wasting hundreds of dollars. Don’t judge a ski by its cover, or forever be at risk. Ensure the skis you buy, truly are your perfect skis. Perhaps I am being a little over-dramatic, but if a ski is impossible to turn, you will risk injury. This brings us to our next question; are you good enough to need your own skis? This is by far the most common mistake I see in the ski world. There is a saying that goes; ‘all the gear, no idea‘. 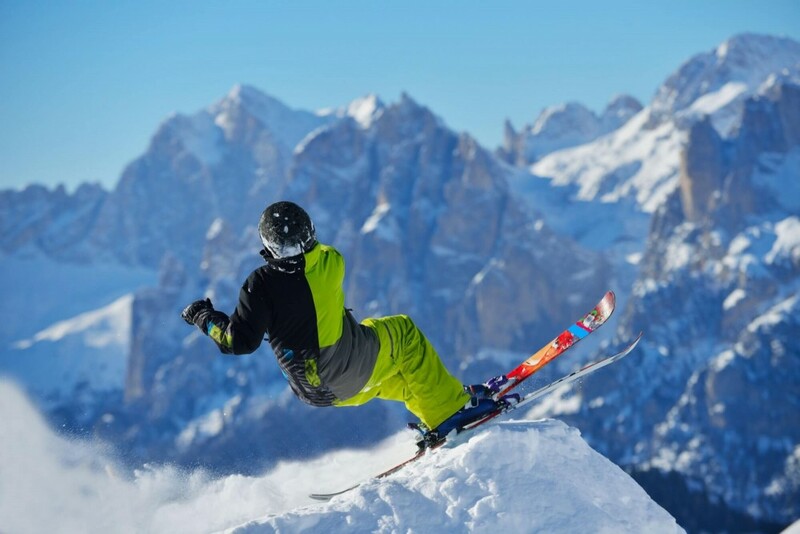 ‘Gear’, refers to equipment, therefore as we all gaudily joke when we catch sight of such a skier, they have all the correct equipment, but lack the necessary skiing ability. Do you want to read more about best ski Googles 2017? By prematurely purchasing equipment that does not match your skill-set you inhibit your progression on the slopes. Buying professional-level equipment at a lower level is ridiculous. 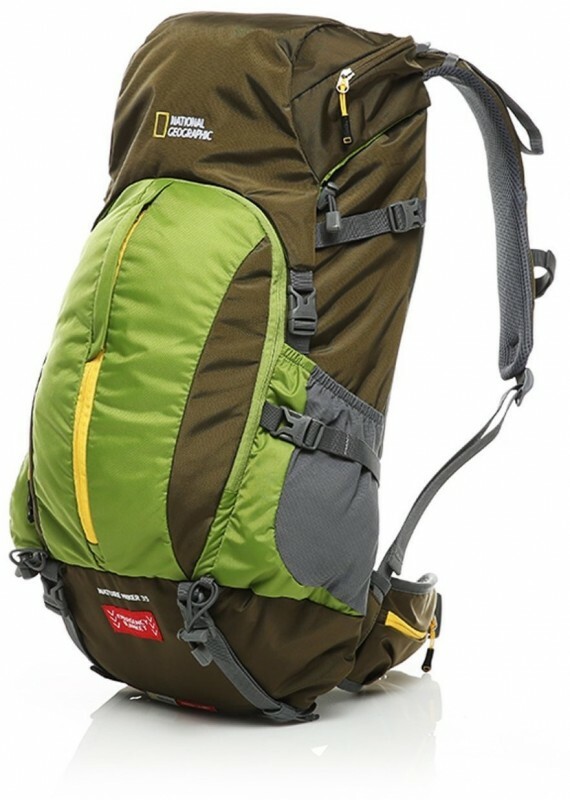 All of us that have to purchase such equipment hate paying large amounts of money for equipment that is uncomfortable and looks stupid. Why spend thousands of dollars (or whatever your currency is) on items that will be of little benefit to you or anyone you care about? Although there is no universal standard at which it becomes appropriate to purchase skis, I would recommend that you only consider purchasing if you can link your turns, carve and ski steeps (red graded run) with minor confidence. Armed with our comprehensive guide for ski purchase, we can assure you that you are likely to make the right decision. One of the writers recalled an old saying, the skis choose you, not the other way around. In a similar fashion to the wands of the characters in ‘Harry Potter’, skis will choose you, don’t turn them away. Spending hours searching now is crucial to maximizing your enjoyment on the piste. Buying your skis online means that you have access to limitless information, we make the buying process easy. So why not check out our reviews? After all, your perfect skis are just an article away!